Careem is a company that likes to dominate the social media chatter in its markets. CSR campaigns, witty responses, taking on competition on social media, the company has done pretty much everything and has been successful most of the times in dominating the online conversations. However, that wasn’t the case with its most recent effort. In fact, it backfired (well, kind of). To give you some background, Careem (Lebanon) had challenged Uber (Lebanon) to a dance-off on 22nd October at Beirut Souks, a commercial district in Lebanon’s capital. The company shared a video on its Facebook page which went viral and has been viewed over 200,000 times on Facebook in the last two weeks. The company had announced that it will live-stream the event on its Facebook page. As if the video itself wasn’t enough, Careem went an extra mile and installed billboards around the city to ensure maximum exposure from the campaign. They also posted a blog titled ‘Why we think We Will Win’. Yeah, they were that confident (read over-confident), thanks to the very serious dance practice. On the day, the event was live-streamed but perhaps didn’t go as planned. From the video that’s available on Careem Lebanon’s Facebook page, the purple-shirt-dude can be seen saying stuff but there’s no sound. A Lebanese blogger Gino Riady however shared the following clip he found on Beiruting.com’s Instagram, in his blog about the event. 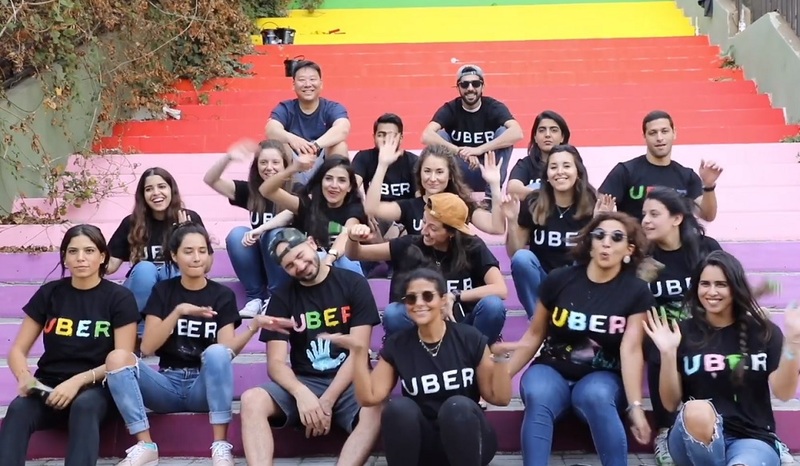 Uber also announced to donate to Ayadina Association, a Lebanese NGO dedicated to community development with a focus on underprivileged children and senior citizens. To our friends at Careem: better luck next time. Oh, and please, don’t stop coming with these cool challenges. We love them.